There are actually several communities in San Felipe, Baja, Mexico. 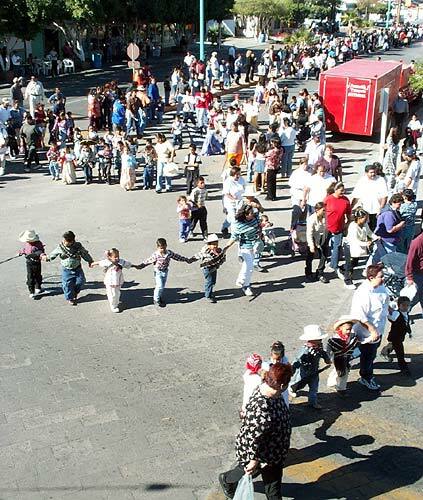 The town itself consists of norteamericanos, or people from north of the border or linea, and the Mexicans. Apart from this are the fellowships of campos clustered along the beaches running north and south of town, with names like Playa del Sol, Campo Cristina, Rancho Baja Beach, Campo San Martin, El Paraiso and dozens more. These campos are predominately enclaves of norteamericanos who have signed lease agreements with the Mexican camp owners. For the most part, an oil and water attitude seems to exist between the norteamericanos (gringos) and the local Mexicanos. 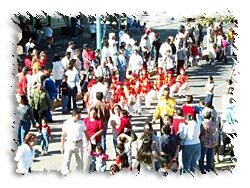 Although some gringos have attempted to integrate themselves into Mexican neighborhoods, most of the non-Mexican population tend to keep their social lives separate, simply because they feel more comfortable in environments that reinforce their familiar cultural conditioning. This also applies to the Mexicans of San Felipe. Attempts to unite both groups around some organized function or event have met with only partial success. It is not uncommon to see perplexed looks on gringo faces as streets are roped off for a parade or celebration that never managed to cross the informational divide between the two communities. Commerce is the glue that binds people into a society and it is no different here in San Felipe. However, consumerism requires a certain percentage of the population be solvent enough to purchase the products. In San Felipe, the gringos account for 75% of the towns solvency, yet only 25% of its population. This fosters a belief on the part of the local Mexicans that all Americans are wealthy. And so prices escalate according to the tolerance of gringos and wealthy Mexicans who pay the increases without question. This puts a tremendous burden on the local families whose products or services are not in demand. Some find other, and perhaps not so honest, means of generating an income. Others depend on the predaceous and wholesale mordida, or bribe, to feather their meager nests. Both the gringos and the Mexicans have worked toward rennovating and improving the social environment of San Felipe. The Mexicans have addressed immediate concerns while the gringos have cast their eye to the future. There is an Alcoholics Anonymous, established and run by local Mexicans, as well as a drug rehab centre. Recently, the Casa Esperanza de San Felipe (Hope House) opened its doors to physically abused wives. The norteamericanos function through groups like Las Amigas, the Rotary Club, Lions Club and Book Buddies.